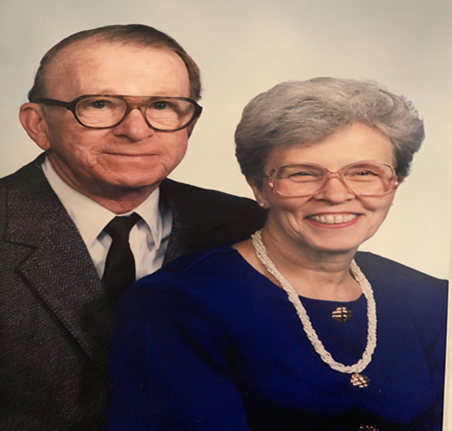 Rosemary Weeber, 87, of Louisville, Ohio went to be with the Lord and her late husband, Jim on Thursday, March 14, 2019 at Aultman Compassionate Care Center following an extended battle with cancer. Rosemary was born on July 19, 1931 in Louisville, Ohio to Richard and Gladys (Duplain) Walters. She was a graduate of Central Catholic High School in 1949. Rosie was preceded in death by her loving husband, Jim, whom she missed daily. Their love was one that will burn eternal in heaven now that they are together again! In addition to her parents, Rosemary was preceded death by two sisters- Betty Walters and Helen McLouglin, and survived by sister, Dianne Feller. Rosemary and Jim were survived by their five children- Arlene Weeber, Catherine Mason, Louis Weeber, Lora Hupp, and Yvonne Ulrich. They also are survived by five grandchildren: Ryan Mason; Rachel and Brian Hupp; Samantha and Hunter Ulrich. Rosemary retired as head cook for Molly Stark Hospital. In her retirement, she helped raise her grandchildren. She was constantly using her Christian Charity to help other family members and community throughout her lifetime. Rosemary was a true Lord’s angel on earth for those in need. She was an active member of St. Louis Parish, OPERS, and East Canton AARP. Rosemary will be missed by all those that in her life she had the blessing to touch with her kind, beautiful, and caring ways. We will LOVE YOU NOW and FOREVER until we meet again in heaven! Rosemary’s family will receive friends Tuesday, March 19th at the Paquelet-Falk Funeral Home in Louisville from 9 am- 10:00 am. Mass of Christian burial will be held immediately after at 11 am in St. Louis Church with Fr. Robert Miller officiating. In lieu of flowers, memorials may be designated in her name to St. Joseph’s Senior Living Center. Condolences can be shared with the family online at www.paqueletfalk.com.